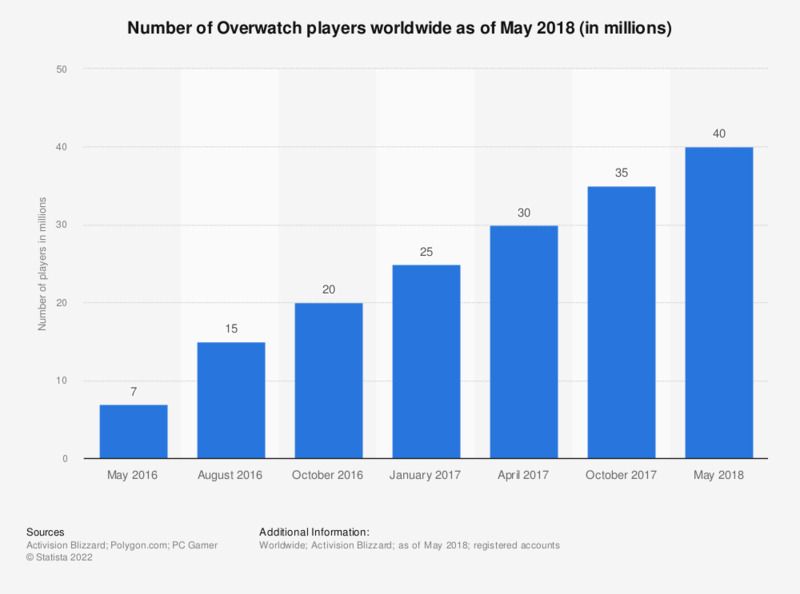 The statistic illustrates the number of Overwatch players worldwide from May 2016 to May 2018. The team-based first-person shooter video game launched in May 2016 and already a week later it was reported to have had seven million players. As of May 2018, Overwatch had 40 million players worldwide. The game generated a lot of media buzz in 2016, with approximately 75 thousand online articles mentioning the title that year. Even Pokémon GO, which was the second most mentioned game online, had only 36 thousand articles citing the title. It's no wonder Overwatch found a spot among the most anticipated PC games of 2016. The game also boasted one of the record-high numbers of players subscribed to beta testing that was made available in late October 2015.